Certain industries are complex and call for a specialist’s touch. In the crane, inland marine, equipment rental & party goods dealers, and scaffolding markets, a specialty insurance provider is best suited to handle specialty risk. It’s different from working with a generic insurer and that difference will properly protect clients. The odds are good that specialty items are not covered by other, more general insurance policies, leaving these items uninsured for disaster. If a company has equipment that is not covered by a general insurance policy, it is not a good enough reason to go without insurance. Other options are available. Specialty insurance exists as a complement to existing insurance policies. That being said, choosing the right underwriter is key. Brokers benefit from choosing a great specialty underwriter, as underwriting helps protect against loss while being very clear and specific about how coverage will work. It protects brokers from assuming a higher risk threshold. Are You Familiar with this Specialty Risk? A specialty underwriter should be familiar in what might be unfamiliar territory for you. In a niche industry, specialty underwriters can help keep you up-to-date with trends that will impact risk and eligibility. Some insurance underwriters focus on a wide spectrum of industries and risks. If you are dealing with something as unique as crane, inland marine, equipment rental & party goods dealers, and scaffolding markets, however, nothing compares to an underwriter with skills and experience in the industry. Unique coverages protect from unique risks. For example, a rental equipment company faces higher threat of theft and vandalism than, perhaps, a company that does not allow its equipment out of the hands of staff. A company working with cranes may need crane-specific coverages, such as boom overload. These elements won’t matter – and may not even make sense – to people in other industries, but appreciating these factors can be the difference between bankruptcy or business as usual for those in these niche fields. One benefit of specialty risk coverage is that you can rest assured your high-risk liability concerns have been appropriately addressed and protected against, with an expert at the helm. This is not a service you can get from a generic insurance provider. To trust that your insurance underwriter has that expertise, you need to know a bit about their background. An insurance underwriter who wants your business should be happy to explain any education, on-the-job experience, training, and qualifications that make up the know-how that is so important to business protection. Ask for proof of expertise to be assured accurate, comprehensive coverage. How do you Calculate Coverage? Understanding how an insurance underwriter calculates coverage also helps with the knowledge that specialty risk is handled appropriately and accurately. Insurance underwriting should entail coverage calculations that are correct for the investment in question. A general insurance company may calculate coverage based on figures and information that do not suit the reality of the niche industry. This is yet another reason a specialty risk underwriter makes a difference. Are You Connected Within the Industry? Part of what an insurance underwriter offers, especially in a specialty or niche industry, is resources and connections. A generalized insurance underwriter may have more connections, but you can’t guarantee those connections to be in your niche field. On the other hand, specialty underwriters should be familiar with every aspect of the underwriting process and have connections within the community and industry. They can recommend outside experts, dispute issues, and otherwise leverage relationships to your benefit. Do You Offer Cyber Liability? This is a newer concern, but one that brokers should be aware of. Your broker should be able to inform you about cyber liability accurately. Cyber liability applies in many industries. It protects companies in the event of lost or stolen personal information, billing errors, or loss of data. If your client uses technology as part of their niche industry dealings, cyber liability is coverage to strongly consider. How Can Your Coverage and Pricing Help Me? The complete coverage and competitive pricing a specialty underwriter offers make all the difference in winning business from clients. A good specialty risk underwriter wants brokers to find success. More successful brokers means more happy clients for the underwriter, so everyone wins. The insurance industry is competitive. Being able to offer specialty insurance is a smart way to stay ahead. Ascinsure is a nationwide insurance wholesaler and program underwriting manager focused solely on crane, inland marine, equipment rental & party goods dealers, and scaffolding markets. 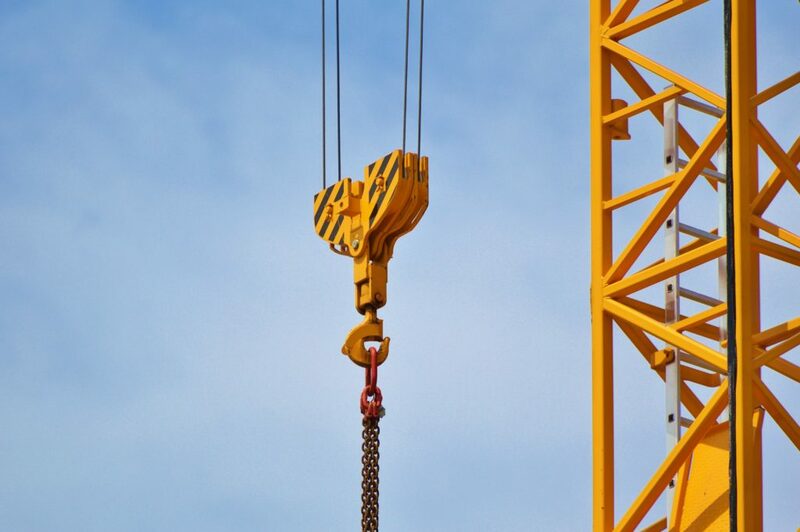 We know that the crane, inland marine, equipment rental & party goods dealers, and scaffolding markets are complex, niche, and changing rapidly. That’s why we believe it’s beneficial for brokers to work with companies like ours to ensure the most comprehensive coverage. Our specialty underwriters are highly-skilled and seasoned professionals who provide not just coverage, but solutions and insight for these niche markets that are our focus. We boast an in-house risk engineering and loss control manager, cyber liability capabilities, mock OSHA inspections, a strong network of professional resources including attorneys and expert witnesses, and contract wording reviews to mitigate claims, along with many other services and products offered by our team. The work between a broker and an underwriter should be a relationship, and a positive relationship at that. We treat brokers with respect, honesty, and a sense of collaboration to meet our shared goals. If your needs fall within our area of expertise, we would love to build a great relationship with you. Check out our specialty market programs, and contact us for more information or to get started.